“iZombie”: The Complete Second Season continues and expands on the first season’s fun take on the zombie craze. The performances from this ensemble are fantastic led by Rose McIver who continues to play some fun off-beat characters. New this season, although introduced last year, is Steven Weber portraying a great new nemesis. Note: Portions of this review was copied from my season one review. Season Two’s adventures into the zombie underworld deliver shocking plot twists, fresh corpses and a cheeky new culinary style for Seattle’s favorite crime-fighting zombie sleuth, Liv Moore (ROSE MCIVER). She and her ex-fiancé, Major (ROBERT BUCKLEY), rekindle old love – but when a zombie-hunter finds a zombie in his arms, how long can romance stay alive? Liv’s quirky genius boss, Ravi (RAHUL KOHLI), struggles desperately to recreate the zombie cure. Clive’s (MALCOLM GOODWIN) investigation into the Meat Cute Murders leads him closer to uncovering Liv’s big secret. 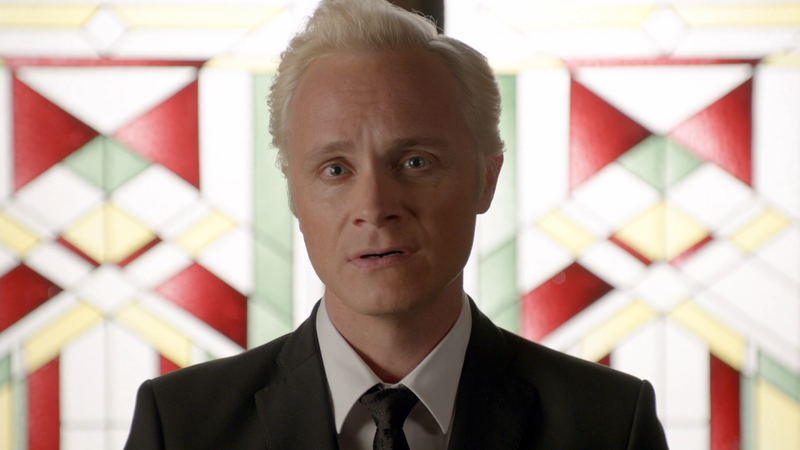 Crime lord Blaine (DAVID ANDERS) is human again – though he still acts like a monster. And Liv’s new roommate is the eyes and ears for an even bigger bad guy than Blaine: Vaughn Du Clark (STEVE WEBER), the CEO of energy drinks company out to rid Seattle of its zombie epidemic. 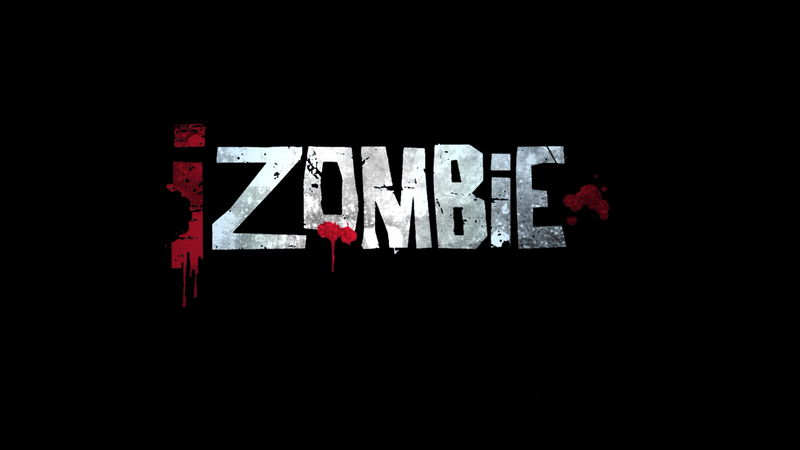 This crazy, undead life is a lot for one heartbroken, brain-eating zombie to handle. “iZombie” is an incredibly fun series, mish-mashing “Body of Proof” (if anyone remembers that show) with the wit, comedy and blood of “Buffy the Vampire Slayer” and zombie elements of “The Walking Dead”. 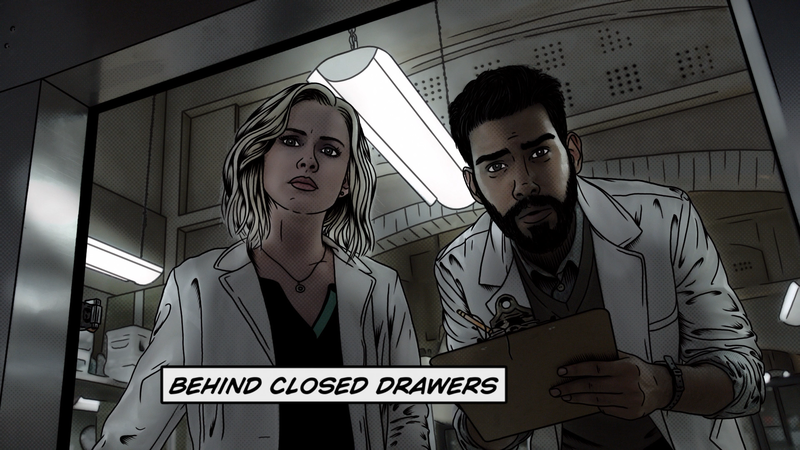 Based off of the Vertigo comic book, “iZombie” is the perfect blend of mystery, horror and dry humor written so well and in conjunction with some great casting, not least of all Rose McIver (Tinker Bell on “Once Upon a Time” and Yellow Ranger on “Power Rangers R.P.M.”) with high honorable mention to Rahul Kohli as her quirky boss and confidant. This second season only expands on what season one began, building on the zombie world and giving us more delicious (so to speak) storylines and doing a great job interweaving a crime-of-the-week plotline – allowing actress Rose McIver to develop on her comedic chops as she takes on more outlandish personalities – while also keeping Liv on her toes not only with Blaine (who more and more reminds me of Spike from “Buffy the Vampire Slayer”) but a new season-long villain portrayed ruthlessly by Steven Weber. In many ways, “iZombie” season two is a tad better than year one and I cannot wait to see where the series goes next. This 4-disc set is housed in an HD Keep Case. Unfortunately features are slim again with only the “iZombie” 2015 Comic-Con Panel (29:43; HD) and some Deleted Scenes. 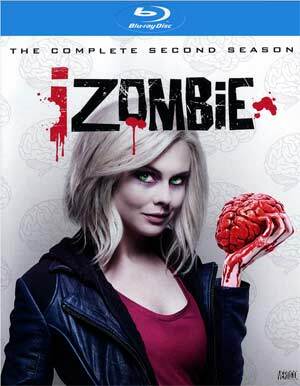 Warner Home Video, through their Archive Collection, releases “iZombie”: The Complete Second Season onto Blu-ray presented in its originally televised 1.78 widescreen aspect ratio and given a 1080p high-definition transfer. In keeping with its darkly comedic/horror vibe, the show varies from darker elements to lighter scenes which show up quite well in HD. Detail looks sharp and all in all it looks like a clean looking picture free of artifacts, aliasing and other flaws. The season has been given a decently robust DTS-HD Master Audio 5.1 track. It’s nothing amazing but does provide for crisp and clear dialogue levels while the score/soundtrack makes the most usage of the front channels and ambient noises from the rear speakers. The LFE channel doesn’t really factor in but on the whole this probably is a fair upgrade over its DVD counterpart and slightly better compared to how it originally aired. Overall, “iZombie”: The Complete Second Season continues and expands on the first season’s fun take on the zombie craze. The performances from this ensemble are fantastic led by Rose McIver who continues to play some fun off-beat characters. New this season, although introduced last year, is Steven Weber portraying a great new nemesis while David Ander’s Blaine experiences being human again. The Blu-ray released through Warner’s Archive Collection offers good/great audio and video transfers but falls far short in the features department.